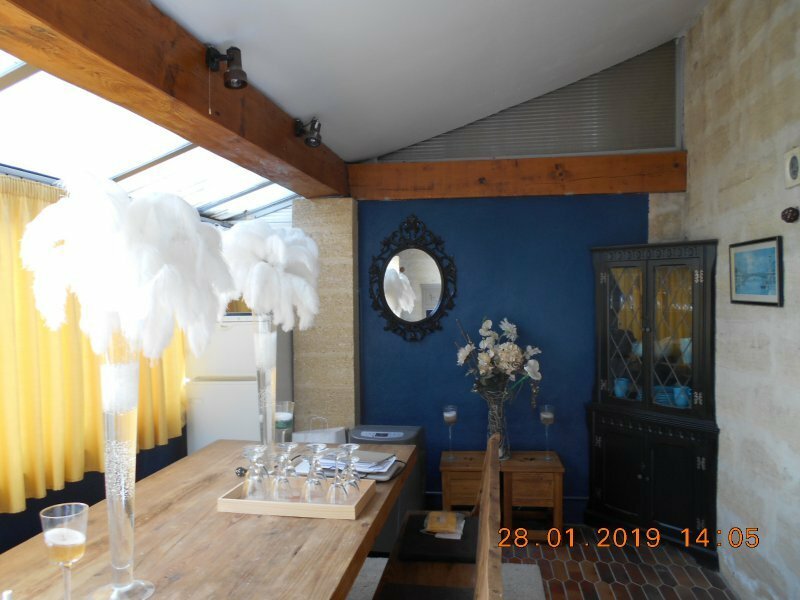 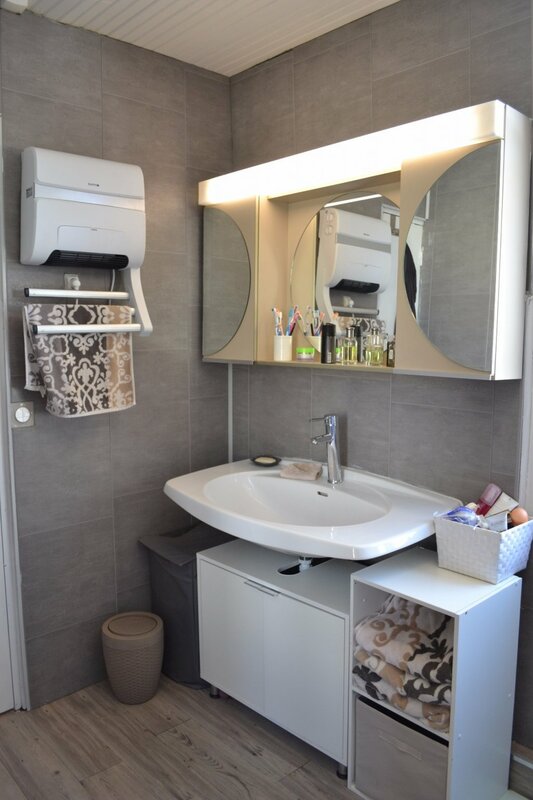 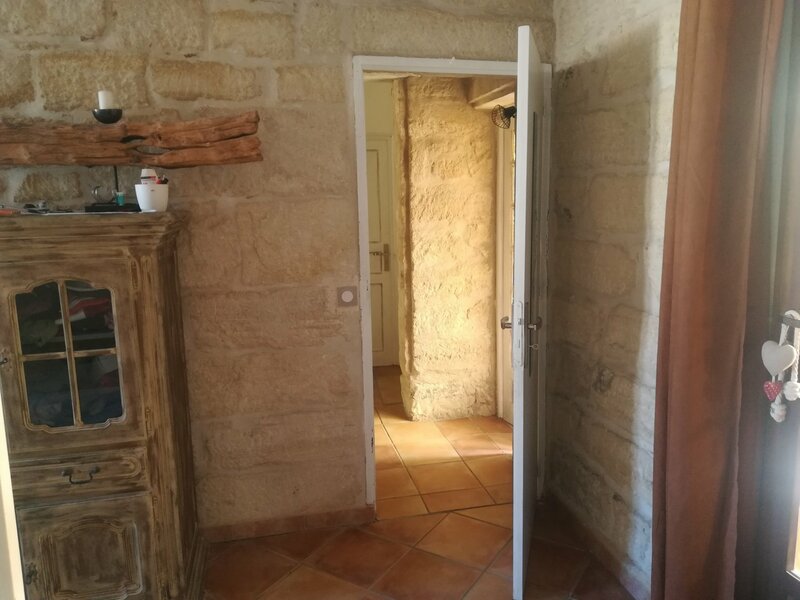 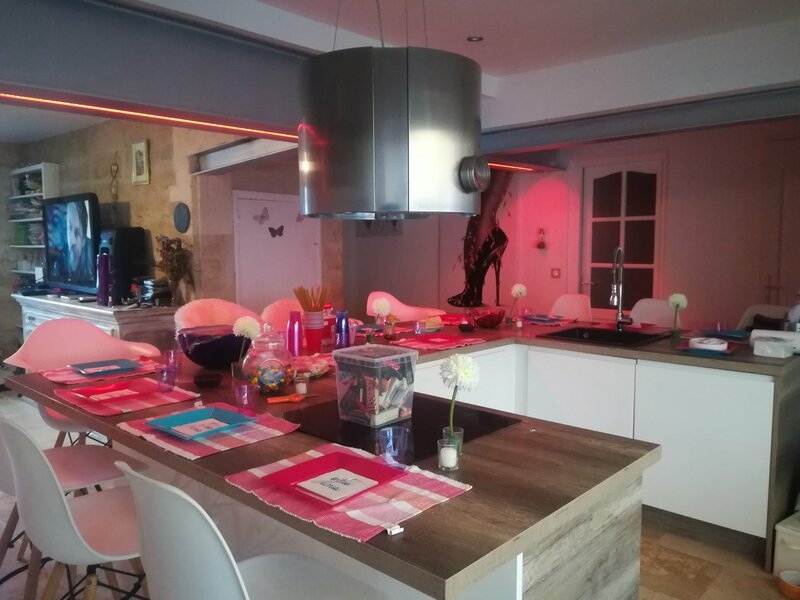 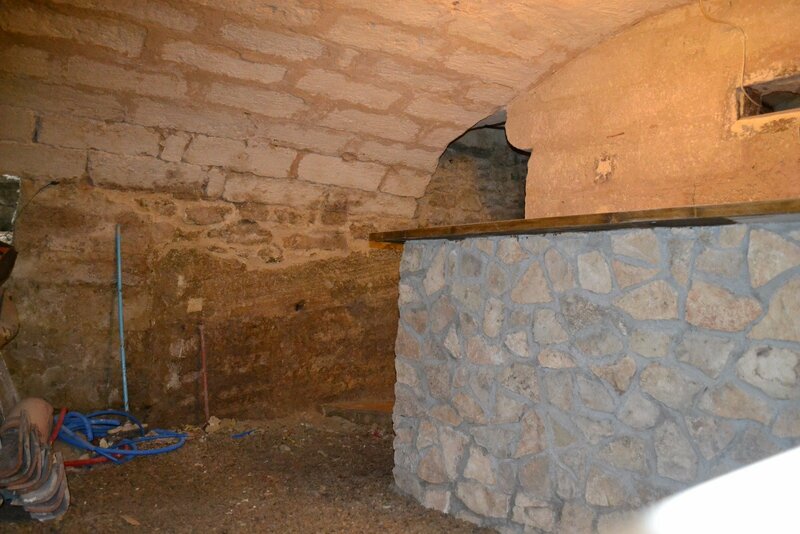 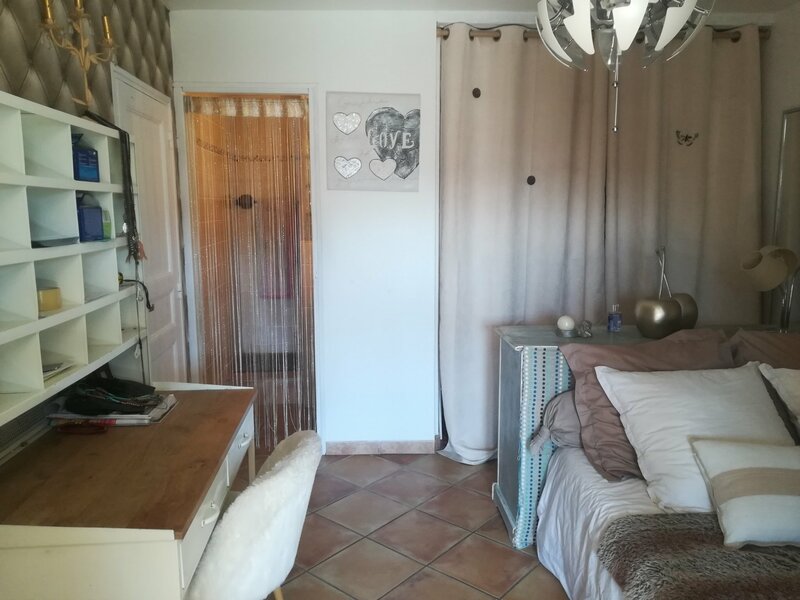 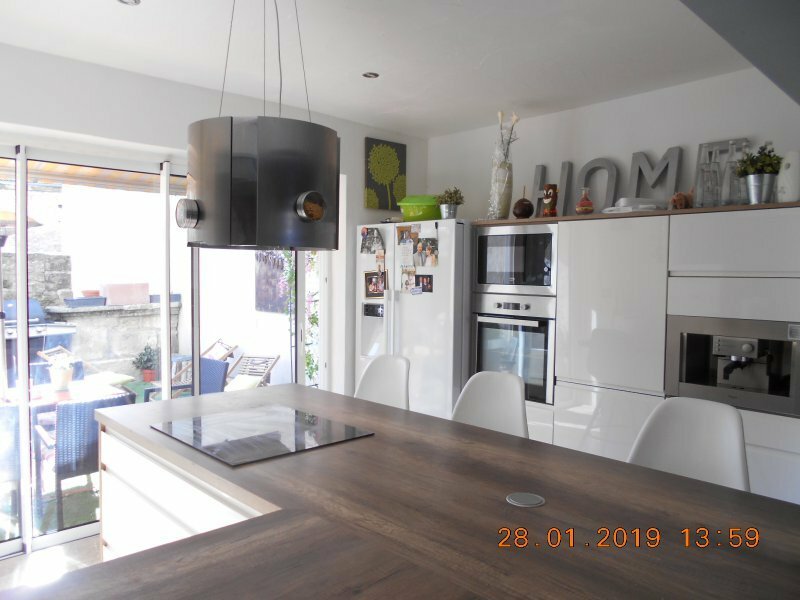 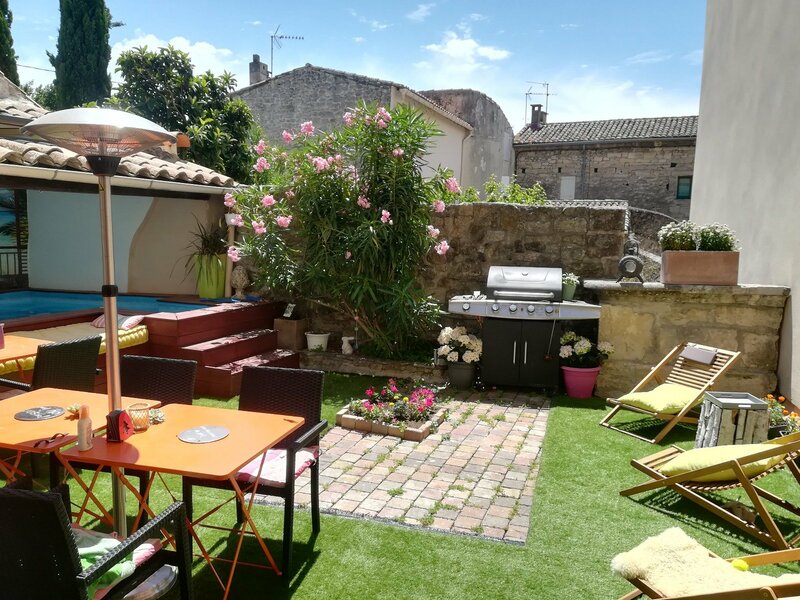 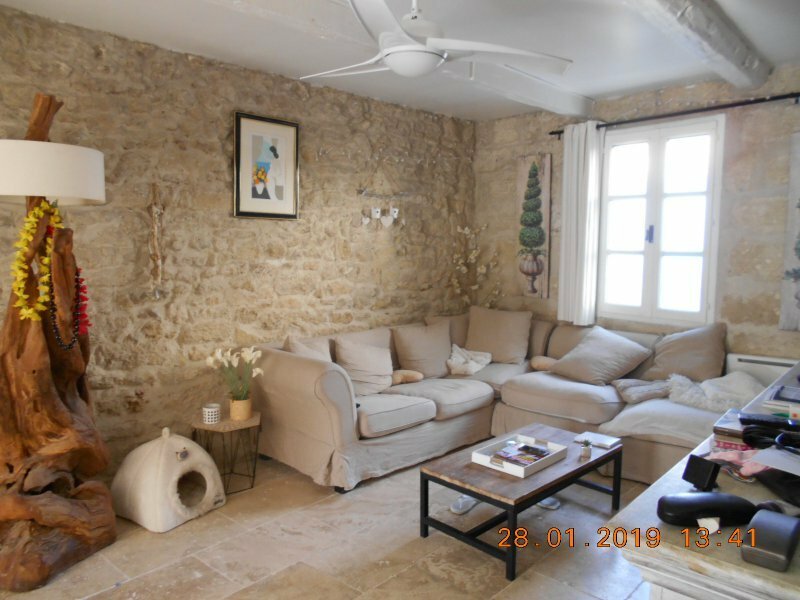 Located in the preserved, historical sector of Uzes, 3 minutes walking distance to Place aux Herbes, this stone village house dating back to 1850 offers large volumes, quaint touches, a garage, terrace and cave! 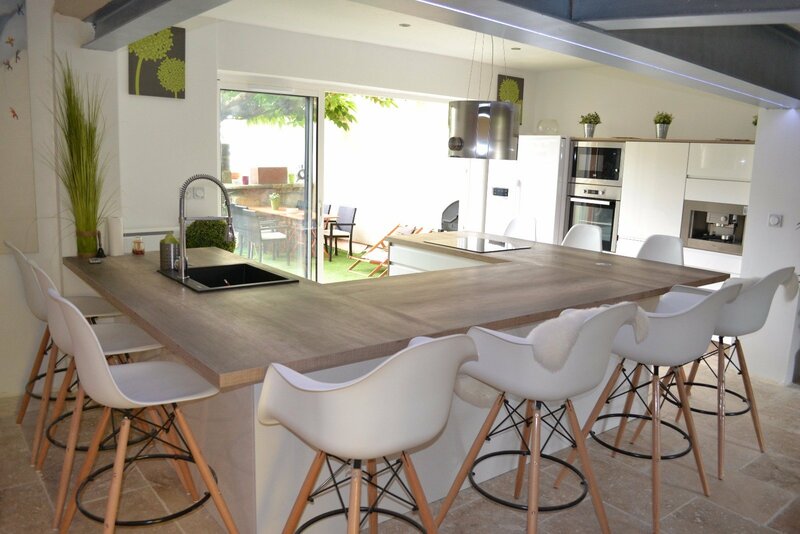 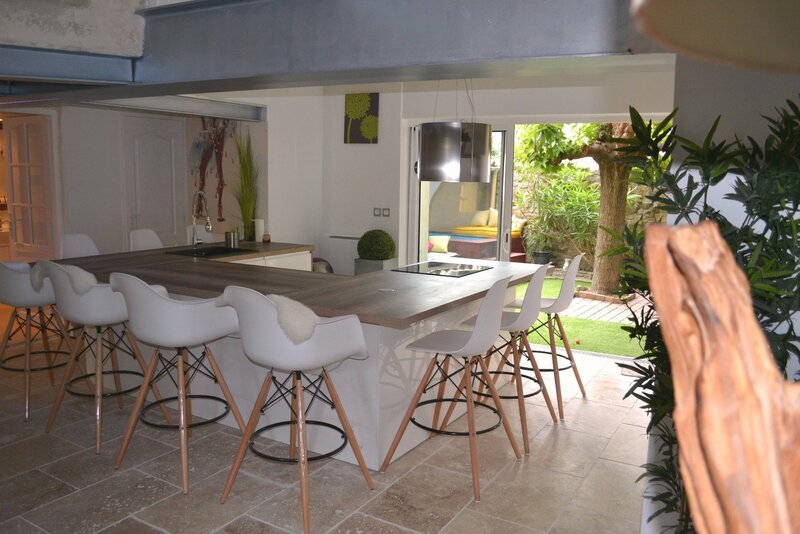 Renovated with charm, the ground floor has a large salon with a kitchen/dining room that opens onto the garden. 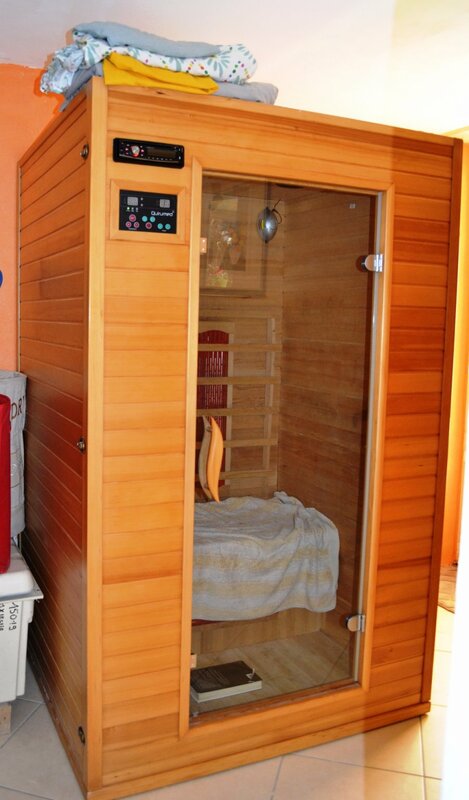 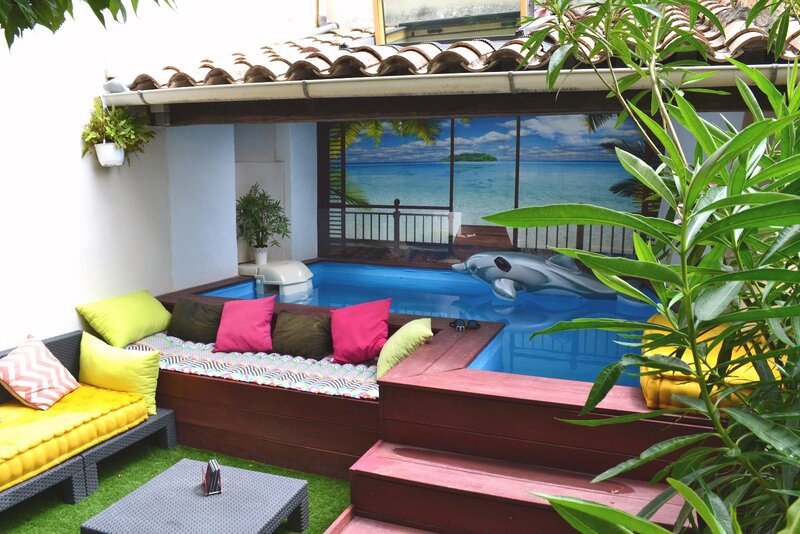 This level includes a water closet, bathroom, sauna, laundry room and access to the intimate garden with a small, heated pool with swim jets. 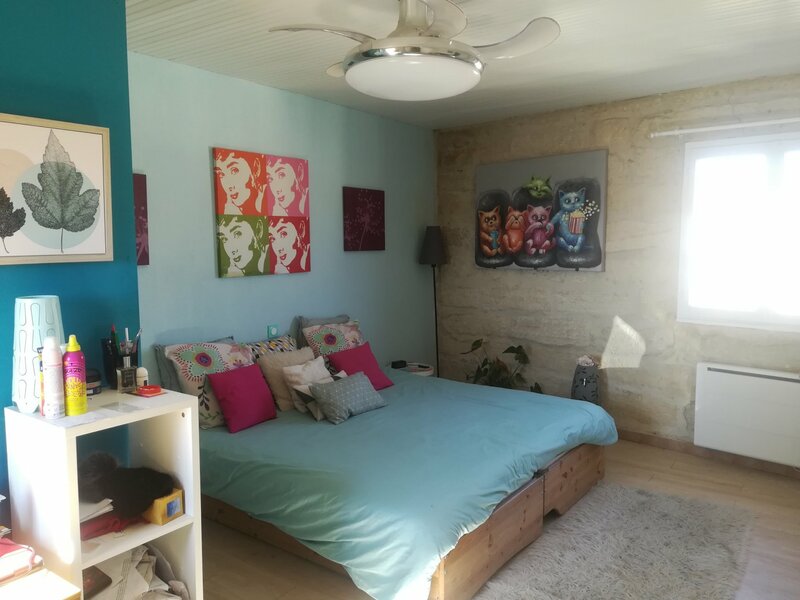 On the second floor, there is a master suite with a closet and bathroom; a second bedroom with closet and bathroom; a water closet; and a large, covered terrace for dining and lounging. 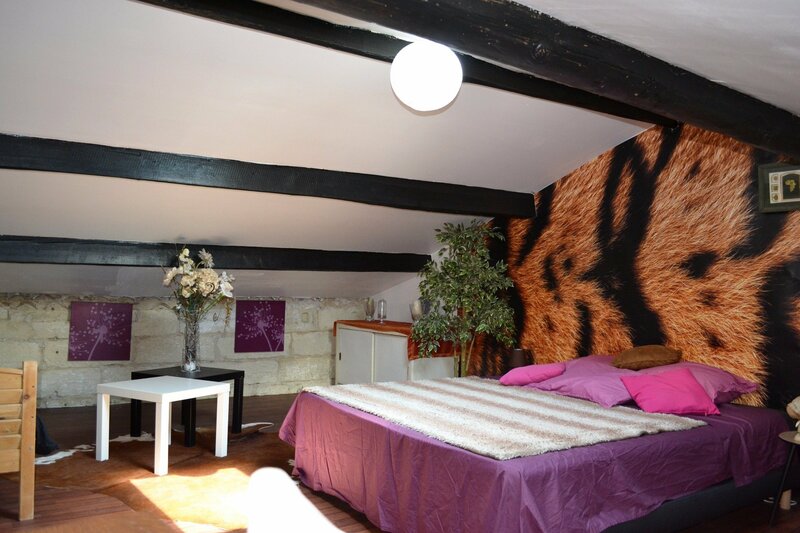 The third floor includes 2 large bedrooms, one of which is a master suite with a view of the duché, closet and bathroom. 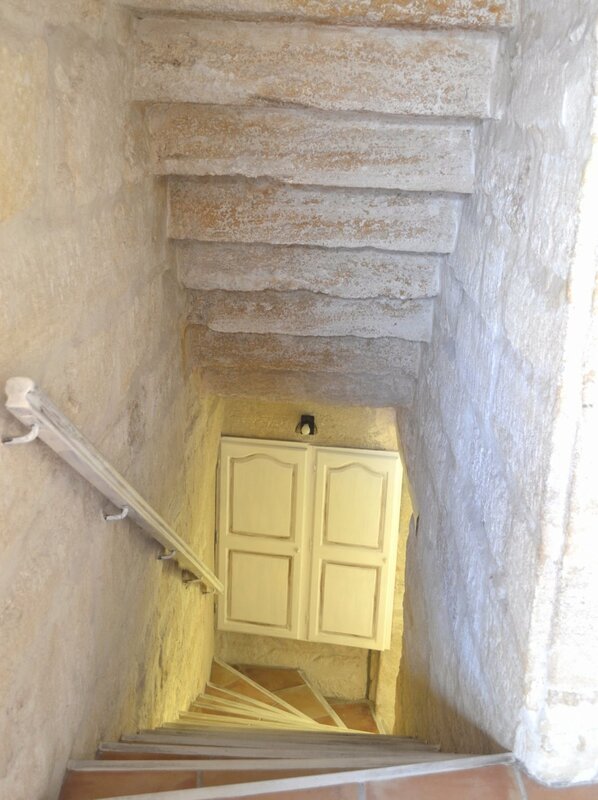 An elevator can be added. 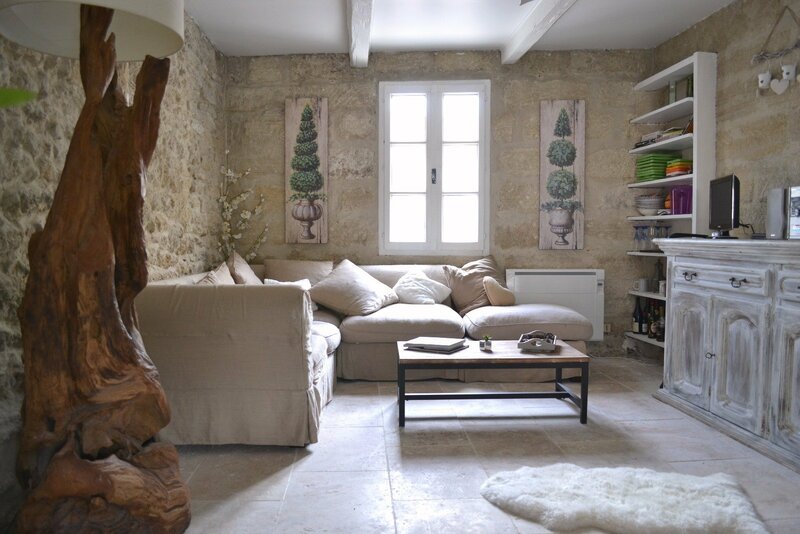 This is a rare find in Uzes featuring history, exposed stone, beams, outdoor space and loads of light and charm.